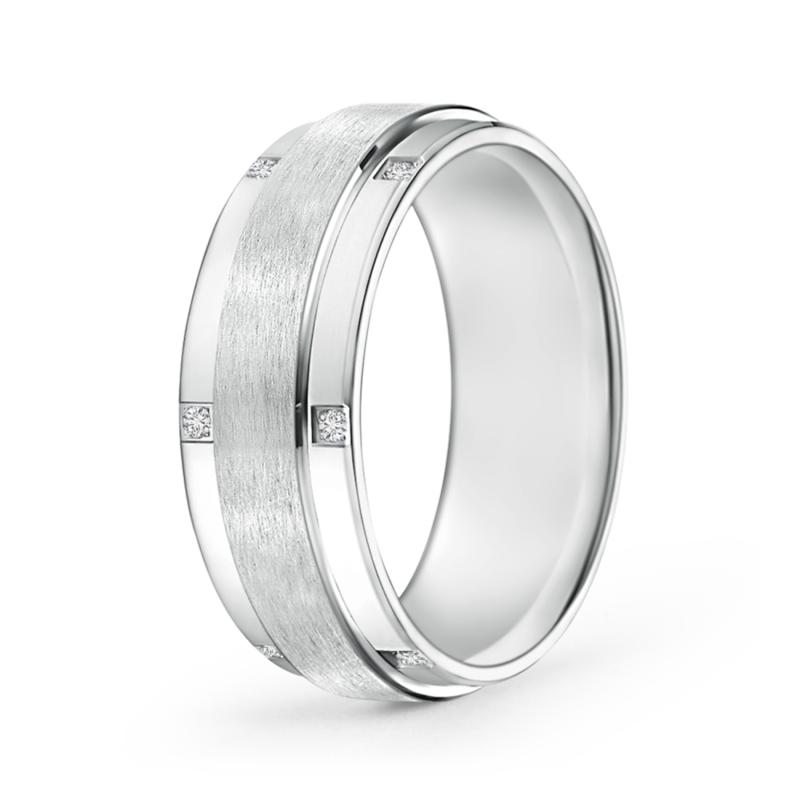 Designed with a hint of sparkle, this men's wedding band is studded with brilliant lab grown diamonds on the satin edges. The diamonds are spaced out, striking the perfect balance of sophistication and exquisiteness. The center of this satin finish ring is finished with a subtle brushed effect.